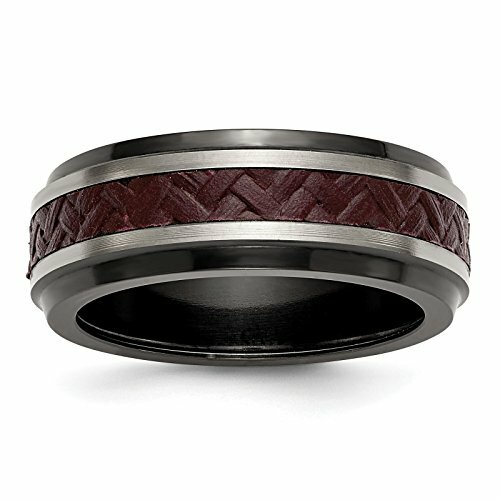 Titanium Black Ti w/Stepped Red Carbon Fiber Insert 8mm Wedding Ring Band Size 10 by Edward Mirell. Comes in a Beautiful Custom Edward Mirell Ring Box. Features: Black Ti - Titanium - Red Carbon Fiber - Polished.